A Pre-Code movie on this list, this one directed by William A. Wellman is particularly important. 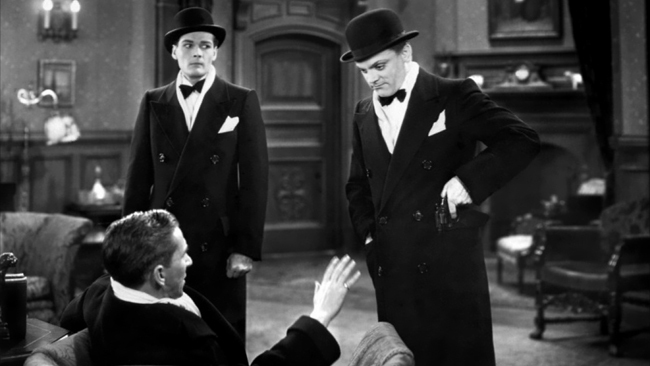 It was in this early 30’s movie James Cagney demonstrated his full potential as an actor. James Cagney alongside one of his friends are infamous smugglers of alcohol, reaching all his glamorous lifestyle during the Prohibition era. This is undoubtedly a milestone for the gangster movies that is also perhaps the most famous of the early works on the subject. Oscar Winner for Best Supporting Actor (Seann Connery) and other three nominations for Oscars, this Brian De Palma work is a must see on this list. An excellent role played by Kevin Costner, Elliot Ness is a young, inexperienced, intrepid, incorruptible and idealistic FBI agent who is sent to the streets of Chicago controlled in all social strata by the infamous Al Capone (played by Robert DeNiro). Elliot Ness faces difficulties in developing the activity for which he is assigned. With Capone anticipating all the actions of the young agent. 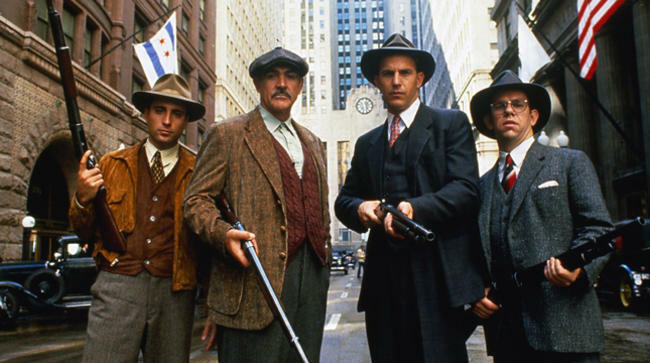 It is then that Elliot Ness accidentally meets an experienced police, Jim Malone (played by Seann Connery), and together they’ll form a special task force with officers who join them in the fight against Al Capone mob actions with the purpose of taking him to court. The performances work perfectly (one of the best in Kevin Costner’s career) in every moment of the movie that, besides the already spoken, is representative of the police fight with all his limitations imposed largely by the power of Al Capone and also demonstrative of the consequences that the work brought up to the families of the police officers. What can we expect from Tarantino? Violence, a great cast and an awesome movie. The failure of an easy heist conducted by a group of six criminals (played by Harvey Keitel, Michael Madsen, Steve Buscemi, Tim Roth, Mr. Tarantino himself and Eddie Bunker) hired by a mafia boss (Lawrence Tierney) to steal a diamond leads them to suspect each other, believing that one of them is a police informant. With a powerful acting and a joyful plot in one of the most violent and visceral gangster movies ever made, this film is a terrific message of the consequences of one’s acts. 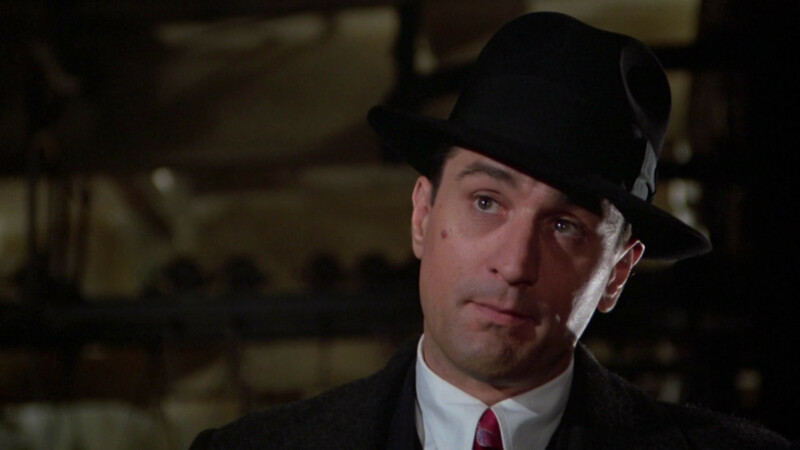 An often overlooked movie, Miller’s Crossing is an obvious choice on this list. This magnificent gem directed by the Coen brothers has a marvelous script that resulted ultimately in this tale of moral, loyalty, rivalry and violence. Everything in the movie is settled so the viewer realize that more than a movie about gangsters, he or she is, above all, watching a movie about human relationships. One of the first works of the Coen brothers, it balances moments of dark humor with tension between the characters and is undoubtedly one of the best and most distinguished films within the genre. 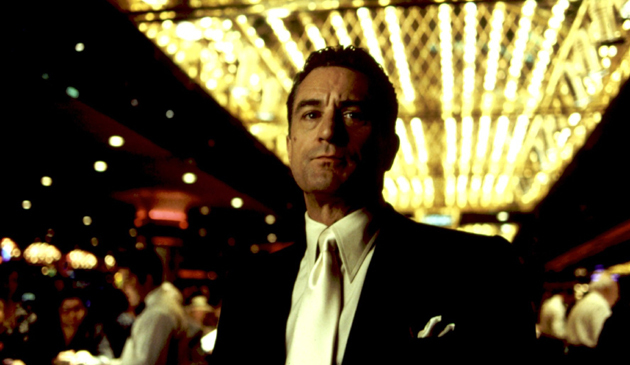 Another Scorsese movie on this list, this time with DeNiro, Sharon Stone and Joe Pesci as leading actors. This thrilling drama shows the life of two friends and one golden girl in the infamous, glamorous, luxurious, violent, ruthless Las Vegas. Sharon Stone steals the show in this movie with a remarkable performance of trophy wife in this rise-and-fall mafia tale with greed, power, betrayal and spiral of decay. 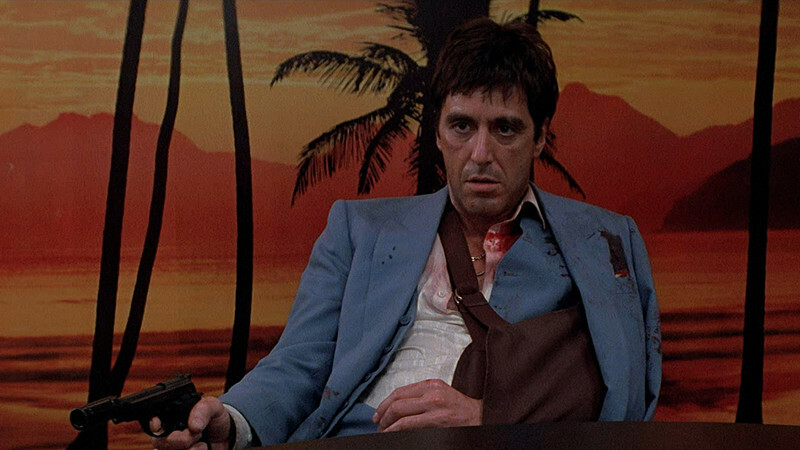 “Say hello” to Tony Montana, one of the most unforgettable and epic performances in all cinema history. Al Pacino, who has played so many recognizable characters throughout his career, has perhaps in this Tony Montana his great career role for which he will be immortalized. An honorable mention has to be made to the fine interpretations of Steven Bauer and Michelle Pfeiffer too, but Al Pacino really steals the show here. Tony Montana is a Cuban immigrant who can get to Miami, he’s also impatient and impulsive, these characteristics will lead him to the rise but also will lead to his fall in the world of drug dealing. Based on the 1932 movie, this became a work of recognized quality but also a cult movie not only within his gangster genre. This is undoubtedly one of the best gangster movies of all time, not because of subtlety and glamour where others has their strengths, but for something that is superior to the others of the same genre: it’s cruel, it’s raw, it’s pure entertainment and truly enjoyable to watch. Probably the best sequel ever made (it was the first sequel to win an Academy Award for Best Picture) and it’s so good (won 6 Oscars and other 5 Oscar nominations) that it’s almost an insult to be referred as a sequel. 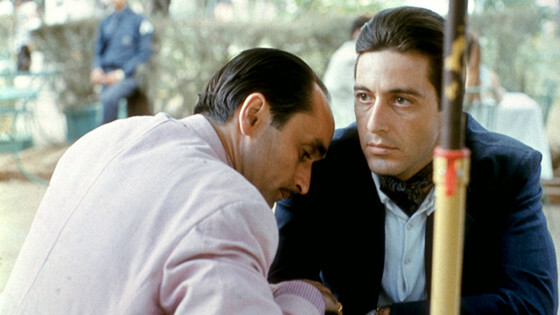 Godfather II runs in two parallel tracks: A continuation of The Godfather with Michael Corleone (superbly acted by Al Pacino) taking over Corleone’s family business in Nevada and a prequel with glimpses of Don Vito Corleone’s (played by the outstanding Robert DeNiro) early life in Sicily. Pacino’s transformation is absolutely perfect. His eyes are cold, he’s chilling in a ferocious, deadly way. Also we have the fact that the majority of the first movie leading cast was kept together in this one and it resulted in perfection. No need for big introductions here. One of the several Scorsese’s masterpieces who made into this list, and what a deserved place this is for Goodfellas. 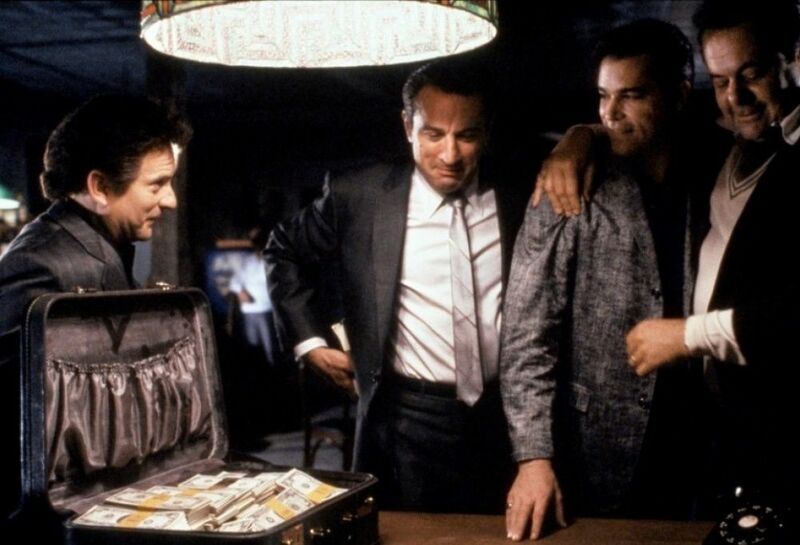 Winner of the 1991 Oscar for Best Actor in a Supporting Role (Joe Pesci) and nominated for five other Oscars including Best Picture and Director, this movie has it all from a perfect cast to a great story. This is without a doubt, one of the best gangster movies of all time. A fascinating biography narrated in the first person by Ray Liotta as Henry Hill, a real life criminal and wise guy. This movie has moments of pure brilliance sometimes in the form of humor as exemplified in the famous scene “What do you mean I’m funny?” by the genius Joe Pesci getting on Ray Liotta’s nerves. One of Scorsese’s most remarkable marriages between a movie and a perfect soundtrack, as few know how to do it so masterfully, serving as an authentic guide and host throughout the scenes and in the movie development. This Sergio Leone’s Depression-era epic has one of the greatest directions in movie history. The Italian director masterfully created an atmosphere full of drama and mystery. Throughout the 227 minutes, the youth of Max (played by James Woods) and Noodles (played by Robert De Niro) is balanced with the criminal adult life culminating in a tale of friendship, regrets, ambition, romance and betrayal. It’s raw, it’s violent and has an epic soundtrack provided by Ennio Morricone. The writing was meticulously thought out and the the movie is ended without an answer. 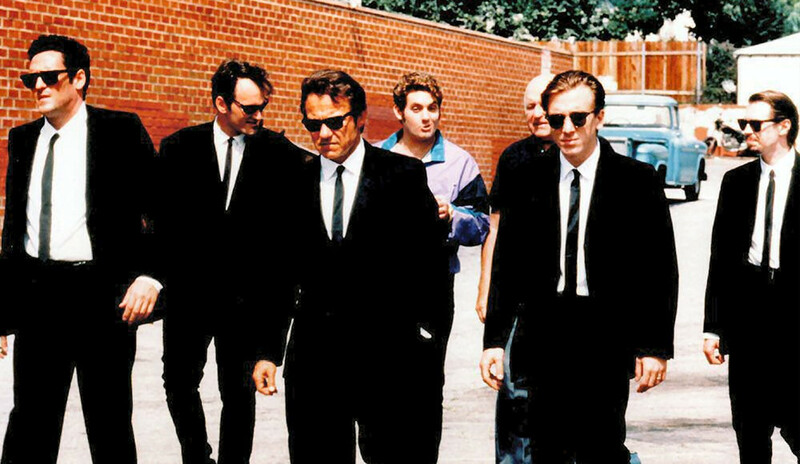 Without a doubt the most iconic gangster movie of all time and one of the greatest ever made. 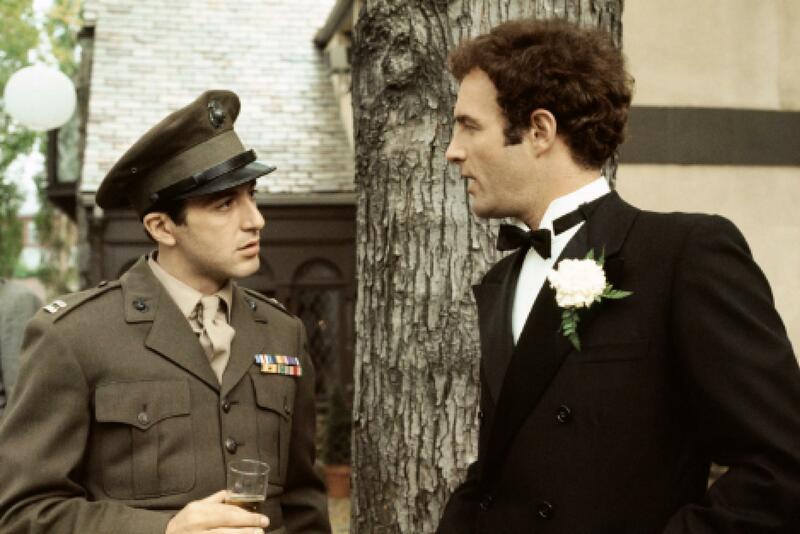 This epic masterpiece from 1972 produced by Francis Ford Coppola based on the best-selling novel by Mario Puzo (they both worked on the screenplay) and starring masterful performances of stars such as Marlon Brando, Al Pacino, Diane Keaton or James Caan resulted in three Oscars for Best Picture, Best Actor and Best Adapted Screenplay. The complex but fluent plot with a soft rhythm about power and moral resulted in an elegant and immaculate portrait in the person of Don Vito Corleone and his family, one of the powerful mafia families of New York and his activities. In this sort of ‘American Dream’ lived by an Italian immigrant who built his crime family from nothing. From its noir atmosphere to its outstanding soundtrack, everything works perfectly and brings an incredible ambiance to the spectator.